US Federal deficit spending continues unabated, real gross domestic product continues to decline, the population of employed workers has declined to 2005 levels in less than 4 years despite an 8% increase in the overall US population and its potential workforce. 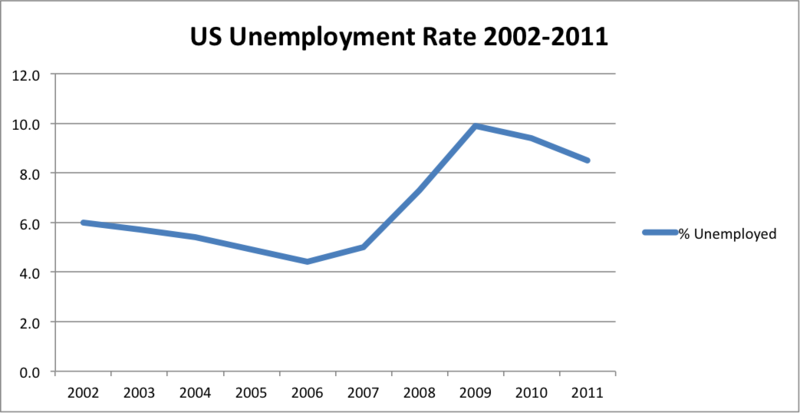 The current unemployment rate (11/2012) has been exceeded only twice since 1948. 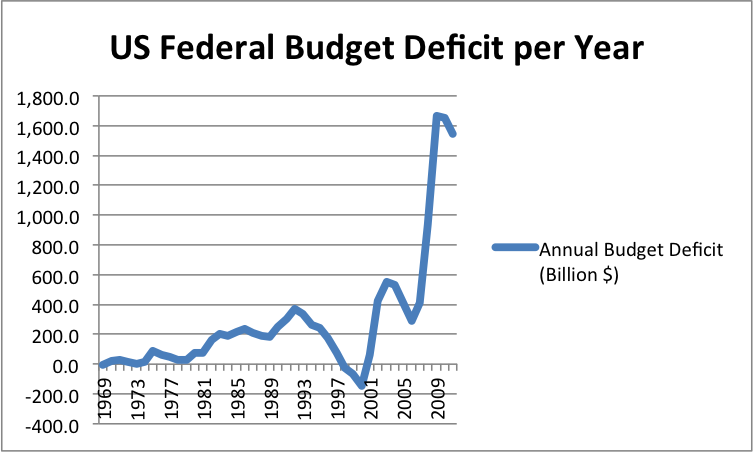 US Annual Federal Budget Deficit. This graphs represents annual deficit spending. At the same time, the total US Government debt (outstanding obligations of the United States) has increased 64% in 4 years, with no end in sight. Any wonder the Fed is forcing interests rates low? %GDP Growth 1969-2011 - US Bureau of Economic Analysis. 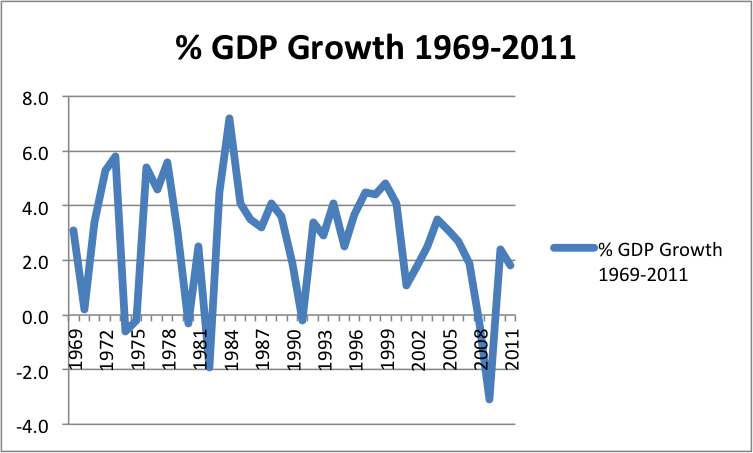 GDP growth continues to trend down with both the ‘highs’ and the ‘lows’ getting lower. 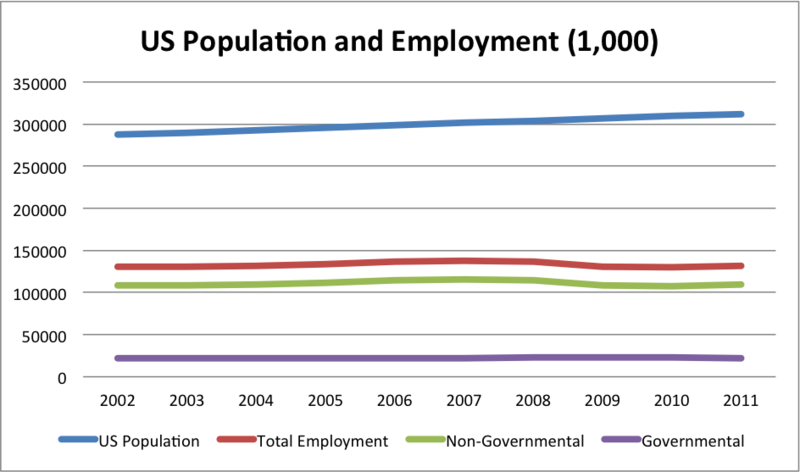 US Employment vs Population. 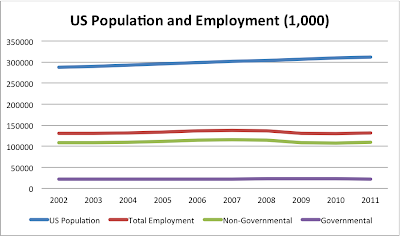 Over the period 2002-2011, the population grew just shy of 1% per year or 8% in aggregate. The absolute number non-farm employment as of October 2012 has declined since the Q3 2008 to the level of May 2005. 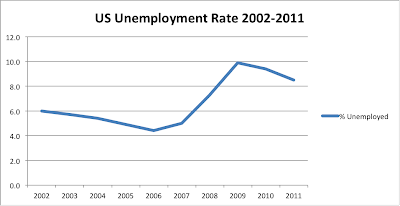 US Unemployment Rate (Bureau of Labor Statistics). October 2012’s rate is 7.9%, an uptick from last month and about the same as when Obama took office.